Classic Côtes du Rhône. Fruity and fleshy with beautiful tannins, it’s a great everyday wine made almost exclusively from our Grand Prébois vineyards (for the Grenache) and our Vinsobres vineyards (for the Syrah). A beautiful wine you should always have! In 2010, all the right conditions were united to produce an exceptional vintage. Heavy rainfall during spring, followed by a very hot summer and an Indian summer in September allowed for great harvest conditions. This vintage produced very balanced wines with intense notes of fruit and great finesse. "Côtes du Rhône par Excellence". Fruity and fleshy with beautiful tannins, its a great everyday wine. This wine is a blend of Grenache (mainly from our Prébois vineyard in Orange), Syrah from further north (from our vineyard in Vinsobres) and Mourvèdre. After the harvest is sorted and destemmed, vinification takes place in stainless steel and oak. Ageing occurs in tanks and Foudre 25% of the year. Colour: Beautiful deep ruby colour with purple undertones. Nose: Still slightly lactic, the nose has intense notes of red fruit, raspberry jam, spices, black pepper. Serve at 18°C with beef, lamb or poultry. "Famille Perrin is a regional superstar and its grenache-led 2010 Côtes du Rhône Réserve Rouge is rich and elegant with licorice and wild berry aromatics and a meaty, mouth-filling body of balanced black fruit." "A light-bodied, floral style, offering violet, high-toned cherry and damson plum notes that carry through the sandalwood-framed finish." "The Reserve is full bodied and fairly intense in flavor; a wine with good depth and balance. It has ripe fruit (berries, red currant), pepper, and violet aromas/flavors." "Soft, round and fruity, this is an affordable, everyday red that’s very versatile. “It’s always a pleasant surprise to find a red in this price range that has this much complexity,” Uygur said. “It’s a well-balanced wine,” Tidwell said. “I like its savory, earthy elements with the earthiness of the dish.” He added that the wine’s weight and texture also complemented the risotto. Hammett called it a happy compromise between the overly tannic reds and the overly fruity wines. Luscher found it a good Côtes du Rhône for the money. She and Uygur noted that the wine’s spice and pepper notes played well with the fall spices in the dish." "Deep ruby. Aromas and flavors of cherry and blackberry, complicated by a floral element and a hint of peppery spice. Shows a refreshingly tangy quality on the floral-accented finish. This is an excellent value." and enjoy it over the next several years." "Another excellent vintage for this cuvée, which always seems to offer plenty of southern Rhône character for not much money, the Côtes du Rhône Resérve, a blend of 60% Grenache, 20% Syrah, 20% Mourvèdre that’s aged primarily in tank, possesses a perfumed, sweet bouquet offered cherries, fresh flowers, garrigue, and wet stone like minerality. Medium-bodied, lightly textured, and balanced, with juicy acidity that will make it versatile on the dinner table, this downright gulpable, delicious Côtes du Rhône should be enjoyed over the coming 2-3 years." "From three vineyards: Syrah from Vinsobres, Grenache from Orange, Mourvèdre from close to St-Maurice. They claim that of all the widely available Côtes du Rhônes, this is one of the few based on estates. Relatively simple nose. Good freshness and fruity attack but still pretty young and chewy." 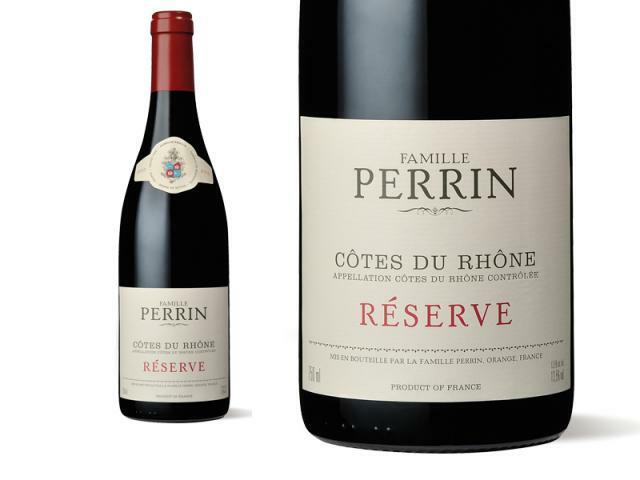 "Another top value is the 2010 Côtes du Rhône Reserve red, a blend of 50% Grenache from their vineyards at Grand Prebois (adjacent to the Beaucastel estate), 20% Syrah from further north in Vinsobres, and the balance Carignan, Cinsault and other permitted grapes. The wine offers abundant amounts of red and black fruits intermixed with hints of tobacco leaf, earthy soil, pepper and spice. This supple-textured, delicious red is exactly what one expects of a very good Côtes du Rhône." "From the makers of famed Château de Beaucastel, this dependable Côtes du Rhône red delivers a classic profile for the appellation. It’s medium-bodied, with tart red berries in the foreground, accented by herbal-peppery notes and fresh tang. Not hugely concentrated for the warm 2010 vintage but solid. $17.99 in B.C., $17.47 in Saskatchewan, $15.95 in Quebec, $18.29 in New Brunswick, $16.99 in Nova Scotia, $17.48 in Newfoundland." sweet blackberry and cherry flavors and picks up slight bitterness with air. Finishes on a smoky note, with good energy and a touch of bitter cherry. "